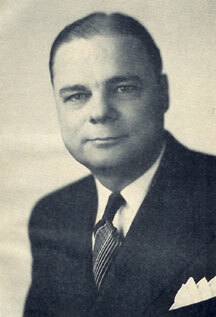 Hugh M. Craig was born on December 8th, 1897, in Bowie, Montague County, Texas. While an infant, his parents moved to Fort Worth, where he has since made his home. Upon the death of his father in February, 1910, Craig and his two younger sisters were admitted to the Masonic Home and School as wards of Fort Worth Lodge No. 148. Immediately after graduating from this School, he was employed on July 17th, 1918, as stenographer-clerk in the Executive Department of Gulf Oil Corporation’s Fort Worth office, which had just been opened, and on January 1st, 1924, was appointed Assistant to the General Agent, Fort Worth District, which position he now holds. On June 28th, 1919, Craig married Miss Ruth Wimberly, an exstudent of Masonic Home and School. They have no children. Craig is active in church work, being president of the Men’s Bible Class of Hemphill Presbyterian Church for the past ten years, and an, elder and trustee of the same church. He is also active in civic affairs. Received Master’s Degree in Fort Worth Lodge No. 148 on March 22nd, 1919. Exalted to the Sublime Degree of Royal Arch Mason in Fort Worth Chapter No. 58 on May 10th, 1919. Hailed and Greeted a Royal and Select Master in Fort Worth Council No. 42 on May 29th, 1919. Knighted in Worth Commandery No, 19, Knights Templar on June 10th, 1919. Received 32nd Degree in Dallas Consistory on April 25th, 1944. Initiated a member in Moslah Temple Shrine on July 4th, 1919, and became a member of Saint Timothy Conclave No. 65, Red Cross of Constantine in Fort Worth on May 5th, 1945. Served as Worshipful Master of Fort Worth Lodge No. 148 in 1941-1942. Commander of Worth Commandery No. 19, Knights Templar in 1944. Member Masonic Graduates Advisory Committee 1940 – 1941 – 1942 – 1943. This splendid Christian gentleman has the distinction of being the only graduate of the Home and School to be elected Grand Master of Masons in Texas and the second in the world, the other being a graduate of Kentucky’s school. It was a happy coincidence that he was privileged to dedicate the beautiful Grand Lodge Memorial Temple. The manner in which this Master Craftsman conducted the solemn ceremonies incident thereto was an inspiration as well as a benediction. During his year, as is abundantly demonstrated elsewhere in these “Proceedings,” Brother Craig had many problems of greatest moment and concern to Grand Lodge, questions intricate and complex. These he disposed of in such a manner as to reveal for our admiration a mind saturated in the jurisprudence as well as the traditions, edicts, customs and practices established of old for the government of the Craft in this Grand Jurisdiction. “We would call your attention to the fact, as here exhibited, that the Grand Master has treated those matters thus retained with such an understanding and definite disposition as to evidence a commendable knowledge and interpretation of all that enters into the duties and prerogatives of one occupying the high and exalted position of Grand Master of this great jurisdiction. A cultivated mind, a loving heart, a zeal for and determination to support and maintain the high and exalted purposes of Freemasonry as applied to the fixed policies, practices and traditions of this Most Worshipful Grand Lodge, have ever been his. This well merited tribute was, on motion of the Grand Master pro tem, adopted by the Grand Lodge as a whole by a rising vote.